Finding the right kind of decor for any home can be a challenge. In an age where you can purchase anything online, the staggering amount of information available can be daunting and overwhelming. 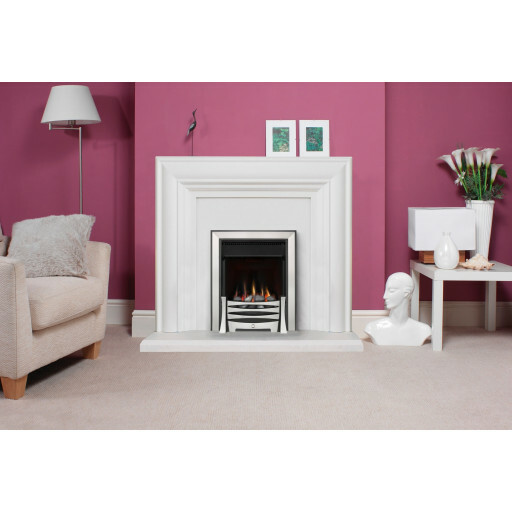 When looking for a flueless gas fire, there are many options available which can help not only give you the warmth that you need, but provide an excellent addition to the look of your home. The Burley Perception 4267 inset flueless gas fire is the perfect solution for anyone looking to add a warm, flueless gas fire to their home. Made out of only the highest quality materials, this flueless gas fire will provide many years of warmth and quality service throughout its lifetime. With the best mix of efficiency and power, the Burley Perception 4267 inset flueless gas fire keeps the heat in and the cold out. One of the greatest features of the Burley Perception 4267 inset flueless gas fire is the fact that it can be installed in a pre-existing fireplace or can instead be placed in a room without a fireplace and still provide the heat that you need. The flexibility and reliability makes this one of the best products to add to your living space. The Burley Perception 4267 inset flueless gas fire features Pebble Brushed Steel, a 2.5kW Remote Option, with a height of 612 mm, a width of 518 mm and a depth of 240 mm.